World number one mining company BHP (ASX, NYSE: BHP) (LON:BLT) plans to step up copper exploration and expansions as it wants to be ready to meet electric vehicles sector’s rising demand for copper. "We want more copper resources in our portfolio. And we believe the most valuable pathway to achieving this is through exploration, the drill bit," Danny Malchuk, president of operations at BHP's Minerals Americas, said at Bloomberg’s LME Week forum on Wednesday. Unlike most miners, which slashed exploration budgets during the downturn that ended last year, BHP has kept its copper exploration budget steady at an average of $60 million annually over the last four-to-five years out of its overall budget for exploration of around $1 billion, Reuters reports. 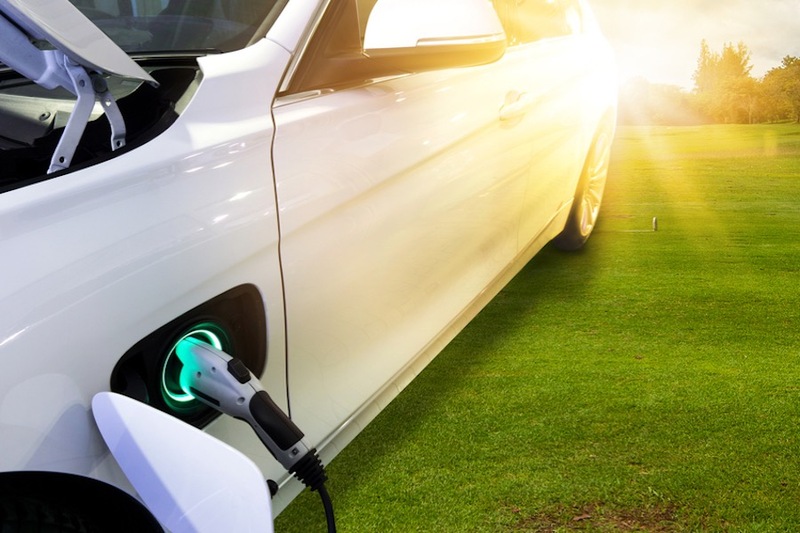 Copper is a key component of the lithium-ion batteries used in the electric vehicles, as well as power inverters and in the charging infrastructure needed to keep them running. “The expectation is that the next generation of electric vehicles, which will have even more automation, will require even more copper,” the company said in September, when it declared it expected 2017 to be the “tipping point” for electric vehicles. BHP, already the world's second-biggest listed copper miner, has been taken steps towards increasing it presence in the market as of late. In July, the company said it would spend $2.5 billion to extend the life of its Spence mine in northern Chile by more than 50 years. That announcement followed the mining giant’s decision last year of raising its annual exploration spending by 29%, allocating nearly all its $900 million budget to finding new copper deposits, to add to a strong portfolio that includes assets such as Escondida in Chile, the world’s biggest copper mine, and Olympic Dam in Australia. BHP has also revealed plans to transform itself into the world’s biggest suppliers of nickel sulphate — another key component in lithium-ion batteries that power electric cars. The company is spending $43 million on a plant in Australia that will generate 100,000 tonnes of sulphate per year and which is expected to begin production by April 2019. Currently, electric cars add up to roughly 1 million, out of a global fleet of closer to 1.1 billion, BHP estimates. But it believes that figure could rise to 140 million electric vehicles, or 8% of the global fleet, by 2035. Its predictions are not far off from the International Energy Agency's (IEA). The organization estimates there were 2 million electric vehicles on the world’s roads in 2016. But the agency is more moderate than BHP when it comes to projections, as it expects the number of electric vehicles to reach around 40 million by 2040. 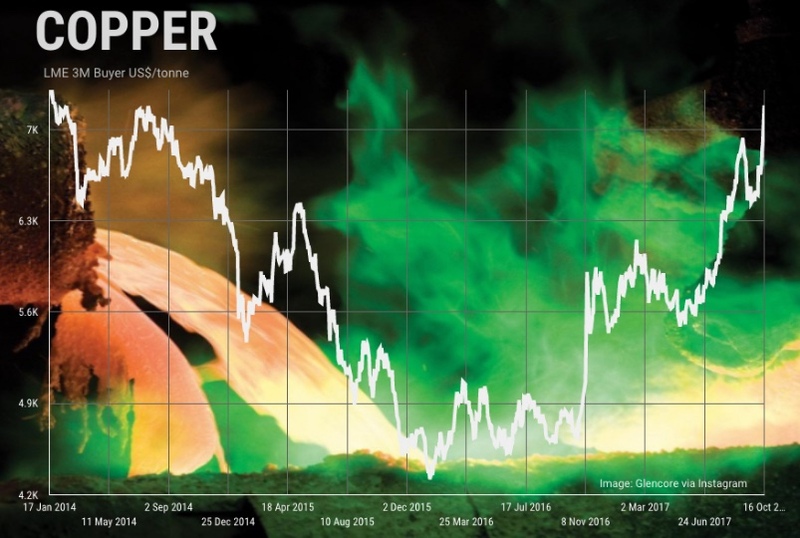 Copper prices have been surging since the beginning of the year, and are up more than 24% since January. On Wednesday, the industrial metal pushed higher and it was up 1,98% at $3.17 per pound in mid morning trade.